The story of Doctor Bennett Omalu and the NFL concussion scandal. 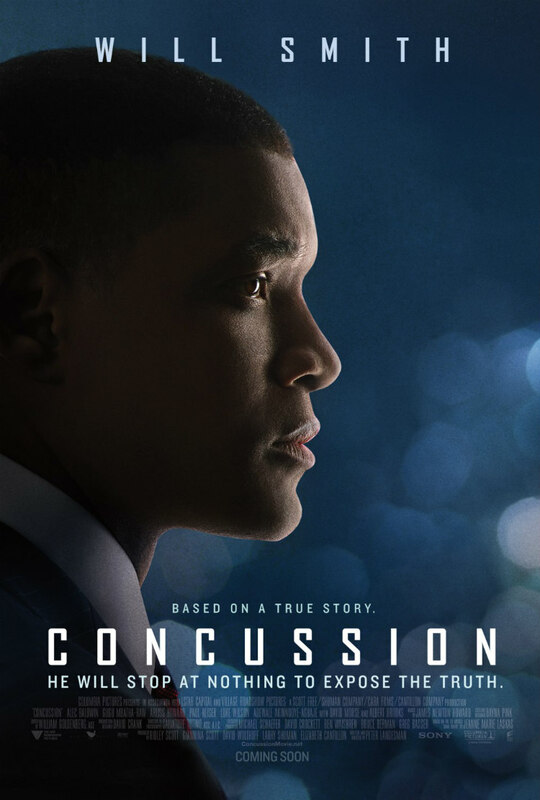 This scandal is quite recent news, and Concussion was clearly rushed into production for a timely release, but had the filmmakers shown less haste, we'd likely have a more satisfactory examination of this landmark moment in US sports. In Europe we often scoff at the idea of American Football players wearing so much protective gear. "They wouldn't last two minutes on a rugby field!" is the cry often heard. But as Concussion shows, that protective gear isn't nearly adequate. Don't be surprised if we see helmeted rugby players in the near future. In 2009, an article in GQ magazine revealed the work of Bennet Omalu, a Nigerian forensic pathologist based in Pittsburgh who discovered a pattern in the untimely deaths of former NFL players, many of whom took their own lives. The men were suffering from a brain disease - which Omalu labelled 'chronic traumatic encephalopathy' (CTE) - brought on by the repeated head trauma sustained during their playing careers. This made Omalu very unpopular with the NFL, who did their best to cover up his findings, fearing they would bring about the collapse of America's most popular sport. 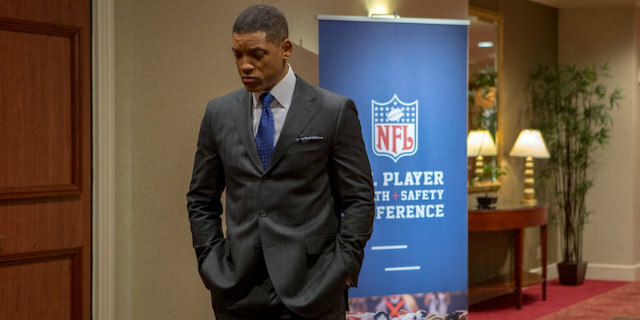 In Concussion, Will Smith plays the doctor in question, and much has been made of his accent. While it's far from authentic, this in no way detracts from his performance. Smith may not sound like an African, but he gets the physical gestures of Nigerians down pat. I once worked in a Dublin internet café where the majority of my customers hailed from that nation, and Smith's Omalu brought me right back to those days. He's far more convincing an African than Idris Elba's Beasts of No Nation warlord for example. 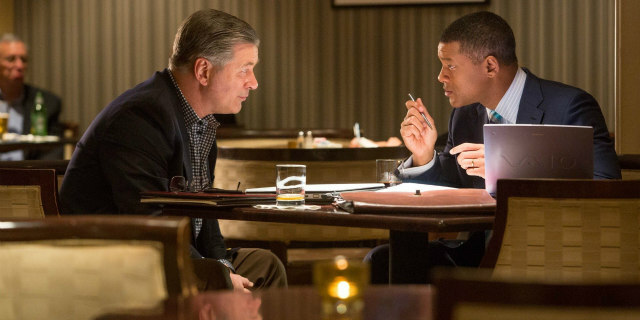 Smith is by far the best thing about Concussion, but the film focusses too much on Omalu, whose discovery is just one chapter of a larger story. What of the affected players? Sadly, they're short-changed, each merely given a scene in which we see them rant a bit before they take their own lives or die prematurely. Presumably for legal reasons, the NFL is also largely confined to the shadows. 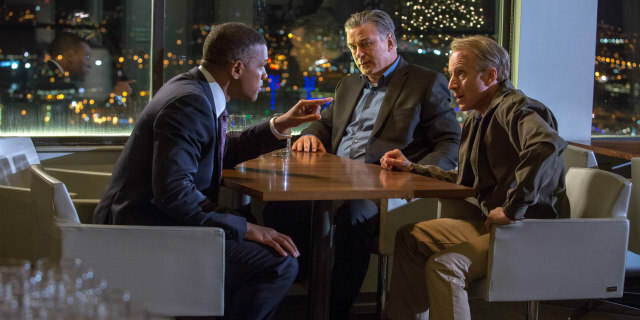 Conversely, an awful lot of time is given to Omalu's developing relationship with the Kenyan immigrant who eventually becomes his wife (Gugu M'Batha Raw), a sub-plot that really has nothing to do with any of this. 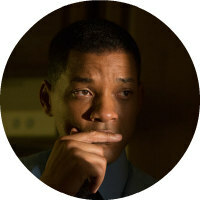 The film ends at the point where Omalu steps aside, which leaves us wondering what further drama we're surely missing? 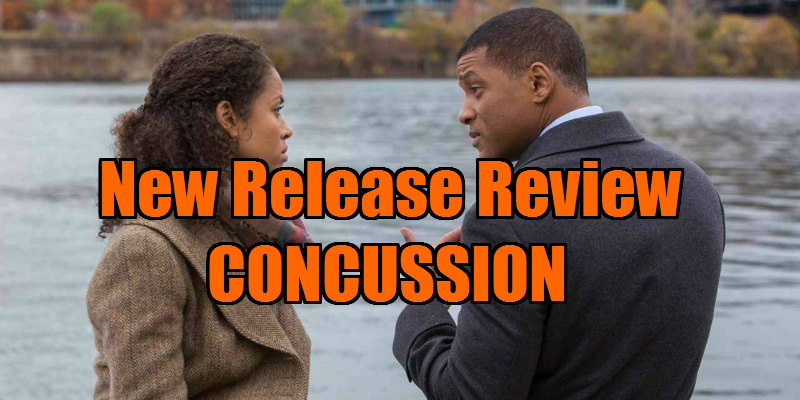 This scandal is quite recent news, and Concussion was clearly rushed into production for a timely release, but had the filmmakers shown less haste, we'd likely have a more satisfactory examination of this landmark moment in US sports.